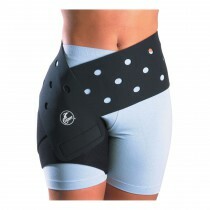 Hernia Supports SALE HerniaTrusses, Elastic Adjustable Suspensory, Adjustable Suspensory, Hernia Appliances. 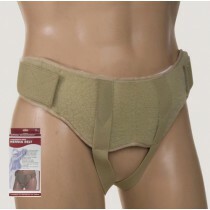 Hernia Support Trusses and Belts are used to help prevent hernias from worsening and allowing the body to heal. Hernias are caused by muscle weakness and strain or a number of other issues and can be very painful or sometimes potentially dangerous. Doctors will sometimes reccomend that you have your hernia surgically reduced or eliminated, in which case it is also usually recommended to wear an appropriate hernia support truss or belt. 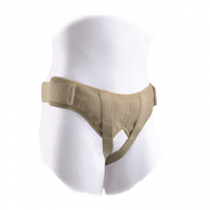 Hernia supports include trusses, suspensory devices, hernia belts, hernia briefs, jock supports, sacroiliac belts and sports briefs. Vitality Medical carries a good selection of hernia supports from Luminiscope, Hermell, Surgical Appliance, FLA Orthopedics and MedLine. 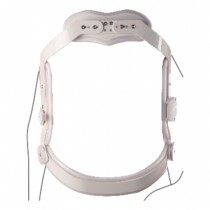 You will want to choose a support belt based on your doctors recommendations and also carefully follow their instructions on how and when to use it, as well as how long you should wear it for. Wearing an appropriately suited truss or belt helps to prevent further hernias from developing or current ones from worsening. They typically come in a variety of sizes and shapes to suit the individual or the specific area of the body that is being affected. If you suspect you may have a hernia don't hesistate to get a check up from your doctor and get the appropriate treatment and equpment that you need to be healthy.